Blurb from Goodreads: To Be Published April 22nd, 2013. 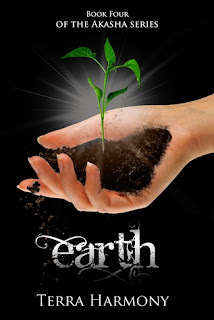 I couldn’t wait to start Earth, as this is the last book in the Akasha series and I wanted to know what would happen and how it all would end. I have to say the overall book was just okay and I have some mixed feelings about the ending, but still it was worth the read and for those of you who have read the first 3 books I would say pick up this book. The story picks up 1.5 year later than where Fire ended, we do get some sense of what happened in that time, but not too many details. The beginning was a bit confusing, not only because of the time jump, but also because the world is really different. It has a bit of a dystopia feel, the world doesn’t have electricity anymore and people adapt to live without it. I loved seeing this change in the world, many dystopia books already take place after the change, but here we get how it was before and now how it is after. I loved the dystopia touch to this world and i only wished we got more information about how the world is now, because it was really interesting. The story is a bit slow paced in this book, I knew there would be an epic showdown at the end, but most of the book it felt like another book in this series and not the last. There wasn’t that much build up to the end. I also thought some parts where a bit boring and I was confused a few times because we don’t get to know all the thoughts and plans of the main character so some descisions seems pretty sudden or without motivation. I am not sure I really liked where the story took us. The characters have changed in those 1.5 years. Bee is now a 2 year old and can talk a bit already. Alex and Susan also have changed and their relationship has developed. Kaithlin also changes quite a bit in this book, she makes some difficult descisions and sometimes I thought she was starting to get a bit crazy, she does some pretty crazy things in this book. Like I said before the world has really changed and although the elemental stuff has stayed the same, the rest of the world is totally different. There was enough explanation about the change, called Daybreak and the consequences, but I still wanted more. I loved how the world had changed and how the people had to adapt and I wanted to read more about it. So i think there could’ve been a bit more world building. The ending wasn’t like I expected. I expected an epic showdown and while there was an epic showdown it was still different than I expected. Also it isn’t a totally happy ending. There were some things that happened at the end that made me wonder what the sense was of some of the things that happened. There are some parts of the ending that are happy and I liked the outlook for the Earth the ending brought us. To conclude: I liked this book, but didn’t enjoy it as much as the earlier books. I liked how the earth has changed and the people adapted, but would’ve liked more world building. The story was a bit slow paced and Kaithlin was a bit crazy at times. 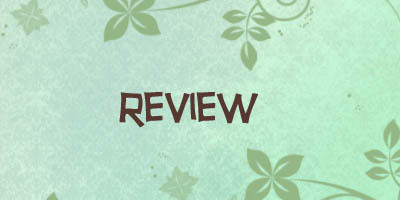 The ending was different than I expected and there were things I liked about it and some things I didn’t like about it. Still if you have read the series so far I would recommend also picking up this book. Because Earth isn’t releashed I don’t have the buy links for you, but I do have great news. 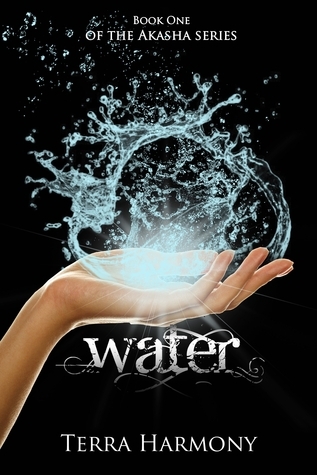 Water the first book in this series is free! So want to know if this is a series for you? Pick up Water! Blurb from Goodreads: Elemental powers in the palm of her hand…and it won’t be enough to save her. When Kaitlyn Alder is involuntarily introduced to a life of magic, she becomes part of an organization hell-bent on saving the Earth. Just as her new-found life holds promises of purpose, romance, and friendship, the organization divides and a rogue member holds Kaitlyn hostage. Now one of the most terrifying men the human race has to offer stands between her and Earth’s survival. I really liked this book, but the beginning wasn’t that good, so 4 stars for this one. When I found this book the idea of a book focussed on elemental powers attracted my attention. In some books elemental powers do play a role, but mostly as a side effect. Here it is the focus. Altough I think the blurb is giving a slightly different impression of the book. If you expect people playing with their element and trowing raw elemental power at each other it isn’t exaclty what the book is about. It is more about a group of people whith varying powers and different strengts who use their powers to help nature. Think of elemental powers crossed with environmental activist. Well I have to admit the focus is not too much on that environmental part, but it does formed the whole core of this organization. So what did I think of the story? Orginal, attention capturing and it does have that keep-on-reading feel in overall. I have to admit the beginning of this book is confusing as hell. Really confusing, there where so many questions that I had a hard time feeling connected to the book. Luckily I am not a person who put’s a book down quickly. After the first 30 percent of the book was spent wondering where the hell it was about and when I would get an explanation I finally got a sense of where the book was about and I tried to accept that the author wasn’t going to give me answhers to all my questions. So after the initial confusing beginning, which took a bit too long I think, the book got really good. The story was good, original and intriguing. It was very difficult from most of the books I read and I really liked it. The world keeps being a bit confusing and I still didn’t get all the anshwers I wanted, but was such a good book that I was almost able to forgot it. There where some slow moment, but the story is very good and kept me reading. Well now the characters. I really liked Kaithlin the narrator, she is a strong and funny girl. She makes many sarcastic comments and jokes and this made her an enjoable character. Further she comes over as a strong character, but also accpet that she needs intimacy and friends. There is a nice romance in this story, it starts off a bit too fast, but after that it somehow calmed down and I really liked that part it played in the book. It is interwoven with the story and somehow seems part of the story too. The side characters are very likeable too and even the evil chcracter has a soft side, which makes it that more believeable. To conclude a really good book, but the beginning was a bit confusing. I liked the characters and the story was really good and original. I will be looking forward to the next book. Terra Harmony has already has proven to be a very good writer! Well, Lola I think I saw this book on goodreads once. and it looked good. It still does. Since I am such a HUGE fan of saving nature and the Earth and the elements intrigue me. Well Water is free for download, so I would say give it a try! If you’re a huge fan of saving nature and Earth I think you will like this series, because saving the Earth is an important part of this series. The elemental powers are also done well!